The Leeds Logic Group is one of the largest and most active in Europe, with an international reputation for research in several of the main areas of mathematical logic - computability theory, model theory, set theory and foundations, proof theory, and in applications to algebra, analysis and theoretical computer science. The group has been very successful in obtaining EPSRC and EU support for Research Students and Post-Doctoral Fellows, and has been the focus of extensive international collaboration via various research projects and networks in proof theory, computability theory and model theory. Our past postgraduates and researchers have been very successful in moving to research or teaching positions in Mathematics and Computer Science departments around the world. Further details of individual staff's research interests can be found on their homepages, accessed via the links on the left. Applications to visit or to pursue research within the Leeds Logic Group are always welcome. We have a large, lively, and very international community of faculty, research students and postdoctoral fellows. For full information on how to apply to do research in Pure Mathematics at Leeds, please contact the Pure Mathematics Postgraduate Tutor, Prof. Martin Speight. REGISTRATION OPEN here, or follow "public application" from the website below. Closes 8th June. This workshop brings together people working in model theory, group theory and combinatorics in honour of the 60th birthday of Dugald Macpherson. There are some (limited) funds available to support participants, and PhD students are able to apply to the ASL for support for their attendance (this must be done 3 months in advance of the conference). We are pleased to announce the conference Homogeneous structures, permutation groups, and connections to set theory, in honour of the 70th birthday of John Truss, which will be held at the School of Mathematics in Leeds from 10 September to 12 September 2017. Jan Dobrowolski (Marie Sk&lstrok;odowska-Curie Fellow), in model theory. The School of Mathematics will host the second meeting of the Lancashire Yorkshire Model Theory Seminar on 11th March 2017. Since 2013, the LYMoTS is a regular series of meetings of the model theorists in Leeds, Manchester and Preston, supported by the London Mathematical Society. The British Postgraduate Model Theory Conference will be hosted in Leeds for the third time from 25 to 27 January 2017. The BPGMT is a yearly event started in Leeds in 2011 with the regular support of the London Mathematical Society and the British Logic Colloquium. It is organised by postgraduate students and postdoctoral researchers, and it aims at fostering discussion among young researchers in model theory from the UK, Europe and the rest of the world. This year, the conference is organised by Asma Almazaydeh, Carolyn Barker, Erick Garcia Ramirez, Dario Garcia, Rosario Mennuni, and Daoud Siniora, and will feature lectures by Zoe Chatzidakis, Jaroslav Nesetril, Boris Zilber, a mini-course by Amador Martin-Pizarro, and 13 talks by postgraduate students and postdocs from various European universities. The event is supported by the LMS, the BLC and the University of Leeds. Vincenzo Mantova (Career Development Research Fellow), in model theory and number theory. The Group also wishes all the best to Immi Halupczok, who is now professor at the University of Düsseldorf. In memory of S. Barry Cooper, John Truss, Stan Wainer and Charles Harris are organising the meeting Directions in Computability Theory, which will be held on Saturday 17th September 2016 in the School of Mathematics at the University of Leeds. This one day event is open to all interested in Logic and Computability, and also seeks to bring together those whom Barry influenced, or who were inspired by his work, and to remember the contributions that he made. Further information can be found on the meeting page. 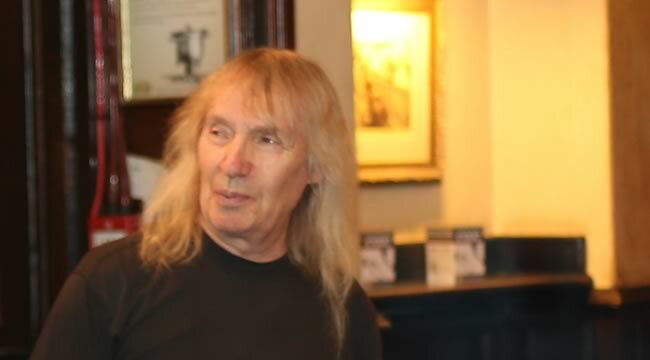 Professor S. Barry Cooper passed away on 26 October 2015. He was a key and influential member of the logic group in Leeds since 1969, championing the cause of computability theory and popular with staff and students alike. Here is the obituary that Richard Elwes, Andy Lewis-Pye, Dugald Macpherson and Stan Wainer wrote for the London Mathematical Society. Barry attended Chichester High School for Boys, and graduated from Oxford in 1966. He studied for a PhD, formally under R.L. Goodstein at Leicester, but worked mainly in Manchester with Mike Yates, the only established UK researcher in Barry's chosen field: the structure-theory of the Turing degrees. He was appointed Lecturer at the University of Leeds in 1969, where he remained, except for regular sabbaticals and invited visits abroad. He was awarded his Professorship in 1996. By this time, the study of degree structures had matured into a mathematical discipline of great technical sophistication. Known for his deep, complex constructions, Barry played a prominent international role in this growth. He defined and intensively studied the jump classes, now objects of central importance. His theorem that every degree computably enumerable in and above 0' is the jump of a minimal degree, is regarded as a classic. He championed the study of the enumeration degrees, establishing many of their fundamental properties. In later years, Barry also became interested in the practical and philosophical significance of the limits of computability. The year 2012 marked the centenary of the birth of Alan Turing, a celebration which Barry led with boundless energy, and which did much to bring Turing the public recognition he deserves. Barry became the event's media spokesman and chaired a 6-month programme on Semantics and Syntax at the Isaac Newton Institute. 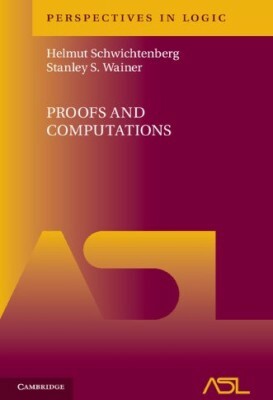 His edited volume with Jan van Leeuwen: "Alan Turing: His Work and Impact" (2013) later won the Association of American Publishers' RR Hawkins Award. Popular with undergraduates as an outstanding and charismatic teacher, Barry supervised many successful PhD students, and was founder and president of "Computability in Europe", a flourishing association that now has more than 1,000 members. He was awarded an Honorary Degree from Sofia University in 2011. Beyond mathematics, Barry played rugby for England under-16s and became a keen long distance runner, with a personal best marathon time of 2hr 48min. He co-founded the Leeds Jazz non-profit organisation in 1984, and was involved in numerous political campaigns, notably the Chile Solidarity Campaign for refugees from 1973. Barry is survived by his wife, Kate, and their sons Evan and Mark, and by his daughters Carrie and Shirin with his former partner Sue Buckle. The 2016 Löb Lecturer is Professor Dana S Scott, ACM Turing Award Laureate, 1976. Other honours awarded Prof Scott during his distiguished career include the Rolf Schock Prize in Logic and Philosophy (Royal Swedish Academy of Sciences, 1997), and the Bolzano Medal for Merit in the Mathematical Sciences (Czech Academy of Sciences, 2001). The Löb Lecture, given by Professor Dana Scott, will take place on Wednesday 18th May in the Leeds Roger Stevens Lecture Theatre 24 at 16.30. This will be part of a UK lecture tour, taking in Oxford, Birmingham, Leeds, Cambridge and London. Slides are now available from Dana Scott's Löb Lecture Why Mathematical Proof? and Logic Seminar Types and Type-Free λ-Calculus. The Leeds Logic Group, with support from the University of Leeds will host the 2016 Association of Symbolic Logic European Summer Meeting: Logic Colloquium '16, July 31 - August 6, 2016. M. Bodirsky, S. Buss, N. Gambino, R. Iemhoff (Chair), H. Leitgeb, S. Lempp, M. Malliaris, R. Schindler, and Y. Venema. O. Beyersdorff, S.B. Cooper, N. Gambino (Chair), I. Halupczok, H.D. Macpherson, V. Mantova, M. Rathjen, J.K. Truss, and S.S. Wainer. Further information to follow soon. Abstracts of contributed talks submitted by ASL members will be published in The Bulletin of Symbolic Logic if they satisfy the basic ASL Rules for Abstracts. Leeds logician Peter Schuster, who has moved to Verona, has coordinated a successful Marie-Curie International Research Staff Exchange Scheme (IRSES) EU proposal entitled Correctness by Construction. Starting 1 January 2014, the project will run for four years, with a total budget of EUR 285600. The project will fund secondments of staff members from EU institutions (such as Univ. of Leeds) to outside the EU. Further participants in Leeds are Michael Rathjen, Nicola Gambino, John Stell, and Olaf Beyersdorff (the last two from Computing); UK partners are Swansea and Strathclyde (both Computer Science); EU partners are Stockholm, Siegen, Munich, Insubria, Genoa, Padua; non-EU partners are from India, Korea, Japan, New Zealand, Australia, and the US. This is supplemented by a 30-month research grant Abstract Mathematics for Actual Computation: Hilbert's Program for the 21st Century for GBP 304,070 funded by the John Templeton Foundation, with Leeds participants Peter Schuster, Michael Rathjen, Nicola Gambino, Olaf Beyersdorff (from Computing) and (from Insubria, Italy) Marco Benini. Other recent Logic Group successes include an EPSRC grant with PI Nicola Gambino: 'Homotopy Type Theory: Programming and Verification' (2015--2019); and another with PI Dugald MacPherson: 'Definable sets and measures in finite, pseudofinite, and profinite structures', running until August 2016. Professor Michael Rathjen has been awarded a 3-year research grant worth GBP 283,814 by EPSRC to investigate further the connections between type theory and homotopy theory, which lie at the heart of Voevodsky's Univalence Foundations programme. One of the goals of the project is to clarify the logical status of the Univalence Axiom, a new axiom introduced by Voevodsky, which plays an important role in the development of homotopy theory within type theory. Dr Nicola Gambino has been awarded a 3-year research grant worth USD 359,397.00 by the US Air Force Office for Scientific Research to work on the connections between type theory and homotopy theory. The general goal of the project is to improve our understanding of these connections using the language of homotopical algebra and higher-dimensional category theory, with particular emphasis on forms of inductive types suggested by homotopy theory and on the newly-introduced higher-inductive types. Professor Barry Cooper was awarded a 3-year research grant worth GBP 669,850 by the John Templeton Foundation, to fund a research project Mind, Mechanism and Mathematics. Running July 2012 - June 2015, the project supported six Turing Research Fellows and three Turing Scholars, from Princeton, Harvard, Sussex, Cambridge, Wellington NZ, Nijmegen, Caltech and Nice - and was centred around 4 related research themes: The Mathematics of Emergence; Intelligent Machines, Practice and Theory; Information, Complexity and Randomness; and New Models of Logic and Computation. The First Project Workshop was colocated with Computability in Europe 2013 in Milan, and the Second will be at Columbia University, NYC. Hear Professor Cooper and Baroness Trumpington interviewed by John Humphrys on the BBC Today Programme, concerning the Royal Pardon granted to mathematician Alan Turing on December 24, 2013. And Sky TV News interview. The Leeds Logic Group saw a number of new arrivals in 2013. Dr Will Anscombe arrived from Oxford in September as a research fellow on a model theory project with Dugald MacPherson. Dummett Symposium - 4th to 5th September 2013 - in memory of Sir Michael A E Dummett FBA DLitt (1925-2011). It is expected that there will also be a BLC Postgraduate logic meeting (3rd-4th September 2013). John with Anita Burdman and Sol Feferman, and Michael Rathjen, after the 2008 Löb Lecture in Leeds. A special series of talks will be delivered on Wednesday January 30th in memory of John Derrick. All talks are to take place in the MALL, Level 8 of the School of Mathematics, University of Leeds, Leeds LS2 9JT. Dinner at the Red Chilli Restaurant 18:00. Please let Michael Rathjen [M.Rathjen @ leeds.ac.uk] know if you are coming for dinner. The 2012 Löb Lecturer is Professor Angus Macintyre FRS of Queen Mary, University of London. Prof. Macintyre was awarded the Pólya Prize in 2003, and became President of the London Mathematical Society in 2009. Prof. Macintyre is a world-leading logician, and an engrossing speaker who has a wide engagement with mathematics. He gave a timely 2011 Gresham Lecture on Undecidable and Decidable Problems in Mathematics: A survey and some reflections, for the centenary of Turing's birth (click to see a video online). On June 23rd, 1912, Alan Turing was born in London, and went on to have a huge impact on logic, computing, cryptography and artificial intelligence. Barry Cooper from Leeds, an academic descendent of Turing, chairs the Turing Centenary Advisory Committee (TCAC), which will coordinate the Alan Turing Year celebrating this unique anniversary. Prof. Cooper is also a co-organiser of the Isaac Newton Institute for Mathematical Sciences 6-month programme on Semantics and Syntax: A Legacy of Alan Turing, 9 January - 6 July 2012 in Cambridge. And (with Leeds alumnus Mariya Soskova) he co-chairs the INI workshop THE INCOMPUTABLE at the Kavli Royal Society International Centre Chicheley Hall, 12 - 15 June, 2012. He is Chair of the jury for the Turing Centenary Research Fellowship and Scholar Competition (with honorary chairs Sir Roger Penrose and Rodney Brooks). 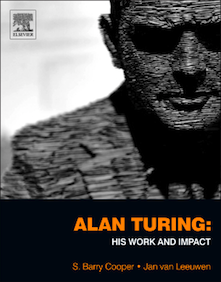 A book: The Once and Future Turing - Computing the World, co-edited with Turing's biographer Andrew Hodges, is in preparation; and a book of Turing's works, with commentaries by leading experts, co-edited with Jan van Leeuwen for Elsevier: Alan Turing - His Work and Impact. John Derrick, former Lecturer in the Department of Pure Mathematics at the University of Leeds, died on 8 December 2011. John was born in Paris in 1935, left for England at the outbreak of war with his family on 'the last boat out of Biarritz', and later attended Caterham School in Surrey as a boarder. He read Mathematics at University College London, and, after graduating in 1956, completed teacher-training at the London University Institute of Education. He taught at Ottershaw School, where he was given responsibility for the whole of mathematics teaching in the Sixth Form. At the beginning of 1963, John took up a lectureship at Leeds. He was a lively member of the growing group of mathematical logicians led by M.H. Löb. His interest in Set Theory led him into fruitful collaboration with colleagues in mathematics and in philosophy. Later, his interests focused on computer-assisted proof, and he became Deputy Director of the Leeds Centre for Theoretical Computer Science in 1992. John was a dedicated teacher, spending much time with students. John was involved in a wide range of extra-mural activities, serving as President of the Yorkshire Branch of the Mathematical Association 1968-69. He travelled extensively to logic conferences and made many friends, revelling especially in 'adventures' to Eastern Europe during the 1960s and 1970s. Between October 1970 and March 1972 he was an Associate Professor at the University of Orléans. Following some years of ill-health, John took early retirement in July 1998. He is survived by his wife Margaret, daughter Cathy, son John (now Professor of Computer Science in Sheffield), and three grandchildren. On 27th October 2011, Prof. Barry Cooper received an Honorary Degree (Degree Honoris Causa) at Sofia University, Bulgaria, where he gave an academic lecture entitled Computing in an Incomputable World. Barry also gave the 2011 Courtauld Lecture of the Manchester Literary and Philosophical Society (founded in 1781) to an audience of over 350 at the Northern College of Music, February 10, 2011. The title of his talk was The Incomputable Alan Turing. Maths 1001: Absolutely Everything That Matters in Mathematics is a new book written by Leeds Logic Group alumnus and Visiting Fellow Richard Elwes. Richard has a new book, How to Build a Brain: And 34 Other Really Interesting Uses of Mathematics came out in 2011. See also Large cardinals: maths shaken by the 'unprovable'. Leeds Symposium on Proof Theory and Constructivism, 3-16 July 2009, included a Conference on Proofs and Computations in honour of Stan Wainer's 65th birthday, and a Gentzen Centenary Conference, celebrating the birth of Gerhard Gentzen, founder of structural proof theory. The Leeds Algebra and Logic Group has been selected as a University Gold Peak of Excellence, in recognition of its world-leading research and its international renown. The 2008 Löb Lecturer was Professor Solomon Feferman from Stanford University. An ex-student of Alfred Tarski, Sol Feferman received the Rolf Schock Prize in Logic and Philosophy for 2003, is an ex-President of the ASL, and is Editor-in-Chief of the Gödel Collected Works. Anita Burdman Feferman, author of From Trotsky to Gödel: The Life of Jean Van Heijenoort, and (with Sol) Alfred Tarski: Life and Logic gave a fascinating talk on Tarski before the Löb Lecture. Some photos from the two lectures, thanks to Bahareh Afshari. Martin Löb, a central figure in the development of CMathematical Logic in the UK, and founder of the Leeds Logic Group, has died in Holland at the age of 85. For an account of his life and work, see the Guardian Obituary by Stan Wainer, or this Amsterdam webpage. MATHLOGAPS - the EU Marie Curie EST project, Mathematical Logic and Applications, involving Leeds, Lyon, Munich and Manchester, recently finished. Its successor, starting in 2009, is the Marie Curie ITN project MALOA, also coordinated from Leeds by Dugald Macpherson. Leeds was a main participant in the Marie Curie model theory network MODNET, 2005-08. Barry Cooper has been elected President of the Association Computability in Europe. CiE conferences held include CiE 2005 in Amsterdam, CiE 2006 in Swansea, CiE 2007 in Siena, CiE 2008 in Athens, CiE 2009 in Heidelberg, and CiE 2010 in Ponta Delgada, the Azores, Portugal. CiE 2011 was in Sofia, Bulgaria.